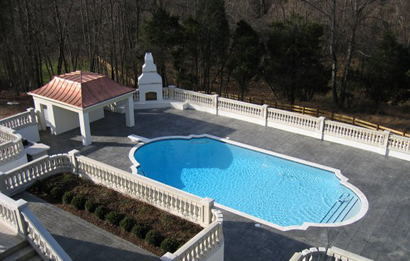 Pavers Driveways VA has some of the finest pool contractors who have been designing and building quality custom pools for over 25 years. There are countless options when it comes to designing the perfect pool for your home. Location, design, materials, maintenance, and budget are all factors that need to be accounted for when beginning to design your pool. Pavers Driveways VA works closely with the homeowner to ensure the best possible inground pool design is developed and all your needs are met. 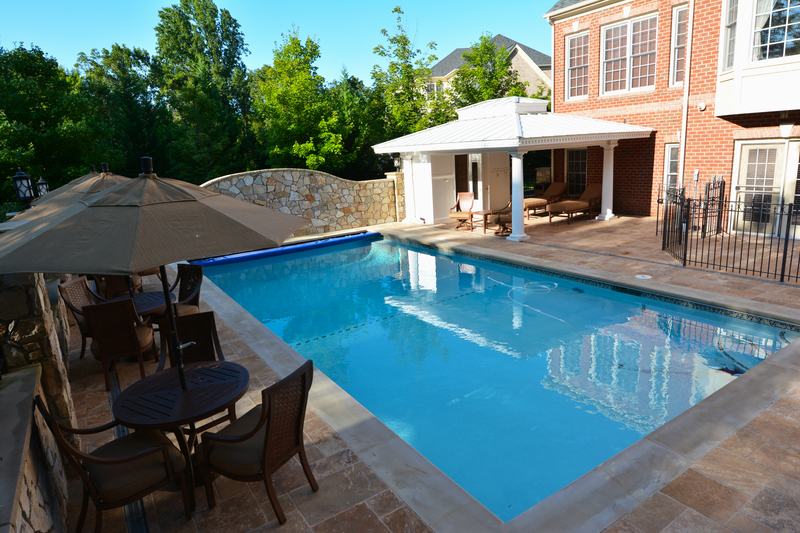 Below are some factors to keep in mind while planning your pool design. Design: It is important that the pool design you choose matches the style of your home. As the homeowner you must decide the size and shape of your in ground pool along with the depth. There are many components and swimming pool accessories that can be added to enhance the design and safety of your pool including but not limited to pool decks, pool pumps, enclosed gating, customized lighting, automatic pool covers, automatic pool heaters, cleaning systems, decks, patios, waterfalls, water fountains, ponds, built-in seating, fire pits, fire places, diving boards, surrounding landscaping, and stone or tile work. A pool deck is wonderful way to create a sitting space for relaxation and lounging around your inground pool. Materials: There are a plethora of materials that can be used to design your pool deck from. We offer various pool deck options including but not limited to natural stone pool decks, flagstone pool decks, concrete pool decks, and paver pool decks. We select only quality natural stone, flagstone, concrete, and pavers for our clients. Each material has its own benefits. Stone offers many color choices and design options. Flagstone has a natural and organic look. Stamped concrete offers long term durability and low maintenance. Permits: Most cities and counties have building codes and requirements. Pavers Driveways VA is fully knowledgeable about these requirements and will guide you through the process. Be sure as the homeowner to become fully aware of any homeowner association requirements for your neighborhood and let your contractor know early on so they can plan accordingly. Proper planning during this process will allow for a perfect outcome that pleases you the homeowner, as well as meets all local building requirements. Service categorization: Pools Design Builder, Northern Virginia, Landscape Design, Swimming Pool Designer Virginia.